Last weekend, the University of Redlands Johnston Center for Integrative Studies hosted Race on Campus (ROC), an academic festival with the theme “radical celebration.” Students across California, from as far away as University of San Francisco and University of California, Davis, attended ROC to give talks, lead workshops, and celebrate heritage and compassion. Johnston student Blair Newman ’18 explained that this was ROC’s third iteration and that every year has been a little different. This year, the student committee organized as a collective and cast ROC an academic festival rather than a conference. Several talks were given during the academic festival, but Newman cited Pan Afrikan Studies: Multidisciplinary Approach to Education as the one that most stood out to her. 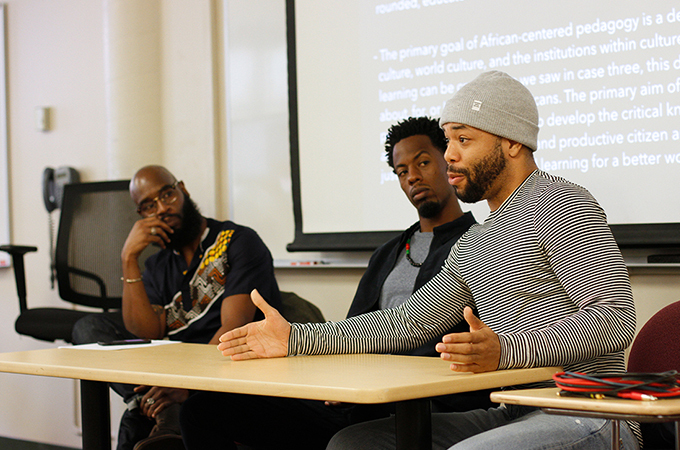 A panel of California State University, Los Angeles students—Del Wenn, Stephen Fossett, and Amiri Mahnzili—discussed the difference between education and schooling and addressed the racial discrepancy in college graduation rates, calling for classroom narratives that reflect the experience of all students. 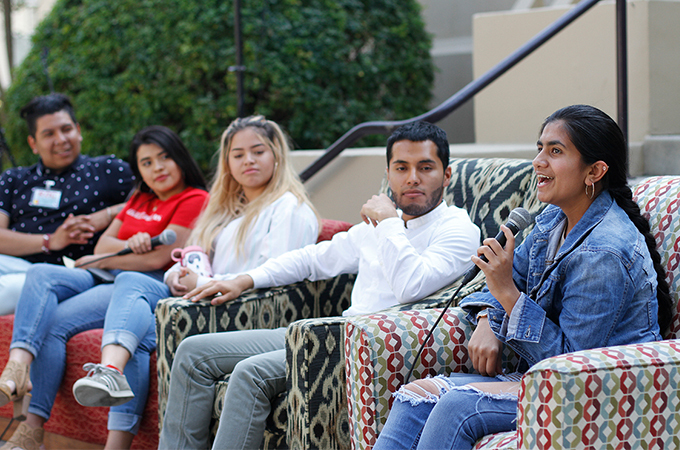 Other talks throughout the weekend included topics surrounding first-generation college students, queerness, gun reform, safe spaces, and racial consciousness. 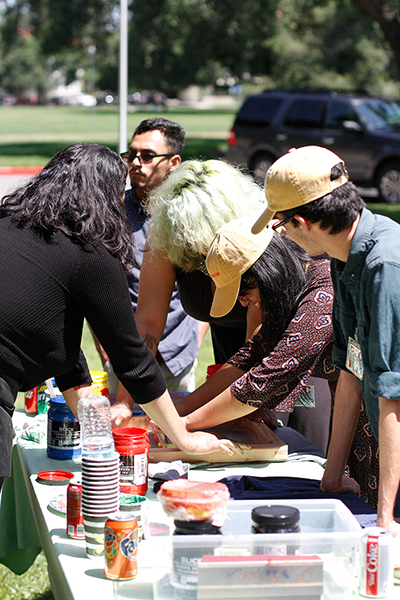 Attendees were also able to participate in activities like t-shirt making and open mic, as well as workshops such as Channeling Trauma and Dance and Intangible Heritage of the Body. 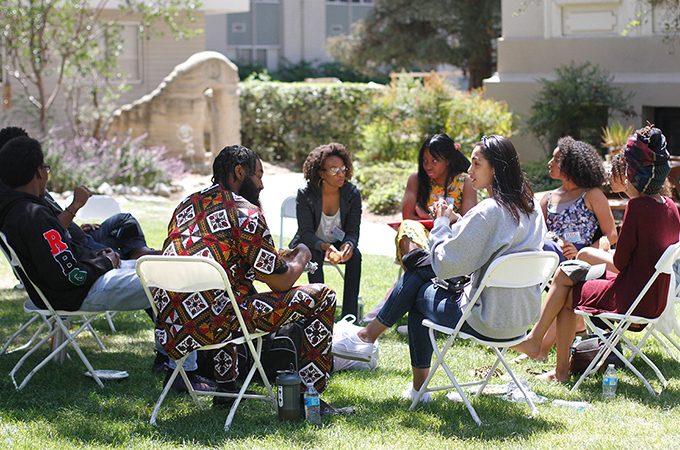 The keynote panel was held on the steps of Bekins Hall on Saturday afternoon. Kaur has participated in several walk-outs and marches and has founded several clubs at her school. Panelist Leonardo Juarez Diaz from Hartnell College said his main goal was to help people, especially undocumented individuals who don’t feel safe. “I see a lot of distress, segregation, and discrimination in my community, and I’m still trying to figure out a way to fix that,” he said. Disappointed in the general lack of support for the undocumented community, Juarez Diaz has allied himself with a program called Community Organizing Relations with Power and Action, which helps low-income families obtain access to healthcare. Giana Mitchell ’21, representing the University of Redlands on the panel, said she feels privileged to be attending a university and encouraged the audience to use that privilege to create forums, clubs, and spaces where conversations like those at Race on Campus can continue to take place.